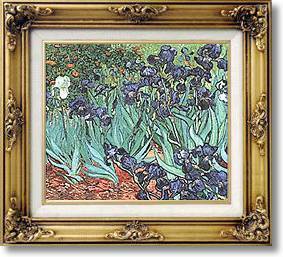 Reproduction Famous Paintings with an Unconditional Guarantee! "It's True - now you can own fine quality reproductions of famous paintings..."
Have you ever dreamt of owning your favourite oil painting by Monet, Renoir, Constable or Van Gogh? Always thought it was too expensive...not necessarily! The majority of our business is now via the internet and personal recommendations - we don't have the high costs of a Gallery or High Street shop to support, so you don't need to pay Gallery prices! Reproductions of this quality could cost you thousands of pounds at an art gallery - you can have the finest quality reproduction taking pride of place in your living room for a fraction of that by taking advantage of our low overheads. Click here to discover some more facts about our works of art. I have studied art as a hobby for years...When my wife said she'd commissioned a reproduction of my favourite painting ('Luncheon of the Boating Party' by Renoir) for our 25th Wedding Anniversary, I was amazed...but a little apprehensive about what to expect. Filman Fine Art create the finest quality reproductions of all of the most famous paintings by 'Old Masters'. Simply choose your artist and favourite painting and we will do the rest. A range of sizes are available to meet your requirements, depending on the subject. We are so confident that you will be delighted with your order that we guarantee 'Old Master' reproductions for 12 months - yes, that's 1 whole year! This no-risk unconditional guarantee means that if, for any reason, you return the painting to us (in its original condition) within 12 months, we will refund the purchase price in full. That's more than a guarantee - that's a promise! Visit our online gallery, open 24 hours a day, 7 days a week NOW!